Former Sri Lankan Foreign Minister Mangala Samaraweera was appointed finance and media minister, while former Finance Minister Ravi Karunanayake was sworn-in as the new foreign minister. The newly appointed ministers took oath before Sri Lankan President Maithripala Sirisena. 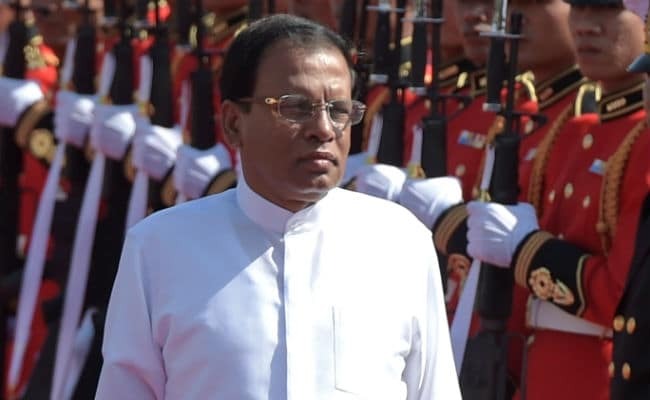 Colombo: Sri Lankan President Maithripala Sirisena switched the finance and foreign ministers in a cabinet reshuffle on Monday in a bid to restore confidence in the administration's handling of the economy. Managala Samaraweera, who has been foreign minister since January 2015, was appointed as finance and media minister. He swaps roles with Ravi Karunanayake, who takes over at external affairs, the president's spokesman Dharmasri Ekanayake told Reuters. Karunanayake sought to revive the economy with a $1.5 billion loan from the IMF in June last year. The IMF has long urged Sri Lanka to boost tax revenue through modernisation and simplification of its fiscal system, which the government has been struggling to implement because of political opposition. Growth, however, has remained anaemic, falling 4.4 percent in 2016 from 4.8 percent in the previous year. The exchange rate was allowed to depreciate 14 percent in the two years through December 2016 and further 1.9 pct so far this year to boost exports. The change at cabinet is aimed at giving fresh impetus to development work, the spokesman quoted the president as saying. Sirisena also shifted Arjuna Ranathunga out of the ports ministry after he blocked a $1.1 billion Chinese port deal following criticism that it would draw the tiny nation deeper into debt.